Cyprus is a popular destination for the acquisition of holiday homes, investment properties and also retirement homes. This popularity may be attributed to several factors, such as the low cost of living, the high standard of living, the hospitality of the local population, the attractive climate and also the sense of security. Buying a property can be a very important and expensive investment for one to make especially when this is abroad. We will make your sale and purchase as stress-free as we can and we will guide you through the legal process every step of the way. We believe that you should be able to budget for your property transactions from the outset. To assist you we will give you a full estimated quotation for the legal fees and other expenses up front. In the context of property, 'Conveyancing' is the process of transferring ownership or 'legal title' of a property from one person (or company) to another. The Conveyancing Process is the set of steps carried out by a lawyer or legal representative on behalf of the buyer or the seller. The time and complexity involved in completing the conveyancing process varies greatly depending on any number of factors including the type of ownership of the property, difficulties obtaining finance, the competency and workload of the lawyers involved, other parties in the transaction dragging their heels and so on. ● Since Cyprus joined the European Union all EU citizens can purchase and own immovable property in Cyprus freely. In certain cases, it is possible that the Council of Ministers will grant approval for the acquisition by a foreigner of a larger area of land, if the land is to be used for tourist development (e.g. Hotel or Hotel Complex), especially if the intended project is in an area where the Government wishes to promote tourism. A similar stand is taken in certain industrial sectors. The decision of the Council of Ministers (approval or rejection of the permission) usually takes approximately 15 days or less to be issued and depends greatly on the work load of the relevant department issuing it. The permit for the acquisition of immovable property by a foreigner when it relates to a private individual purchasing a property, is granted with the restriction that the house will be used only as his own residence and the building plot or land area does not exceed 4,012 square meters. Other restrictions may be imposed depending on what kind of property the application has been made for, the identity of the purchaser, the nationality of the purchaser in case there are restrictions on nationals of a particular country etc. A lawyer must be appointed either before or right after a property has been selected. The lawyer will undertake to do the relevant searches, gather all the relevant documentation, and deal with the drafting and/or review of the contract. This reservation deposit will usually depend on the value of property under purchase. The reservation deposit is counted towards the purchase price but is normally non-refundable should the Purchaser decide that he no longer wishes to proceed for his own reasons/cannot obtain loan, or arrange the finances, has changed his mind etc. The reservation deposit should be refunded to the Purchaser if the reasons for which the transaction was cancelled were due to the Vendors (e.g. charges, encumbrances or other difficulties relating to the property/land which cannot be overcome etc). Contracts are signed usually on the payment of 20-30% of the purchase price to the Vendors. Contracts can either be signed by the contracting parties themselves OR by an authorised person on their behalf (power of attorney) which is usually the lawyer. Purchasers/Vendors need to make arrangements for the signing of contracts OR to give an appropriate power of attorney to their representative in Cyprus (usually a lawyer) to sign the necessary paperwork. When contracts have been signed, the lawyer of the Purchaser takes the signed contracts to the Inland Revenue Department to be stamped. STAMP DUTIES are payable on each contract depending on the purchase price. When the signed contracts have been stamped at the Inland Revenue, they should then be taken by the Purchaser (or his lawyer or representative) to the Land Registry Department (LRD) to be lodged for Specific Performance purposes. The lodging time depends on the type of purchase contract. This procedure creates an equitable charge on the property under purchase for the benefit of the Purchaser until the title deed is transferred onto his name. Lodging the purchase contract for Specific Performance is very important especially when purchasing property for which the separate title deed has not yet been issued! Immovable Property (land, house, apartment etc) with existing title deeds – the Title deeds of such property are immediately transferable onto a Purchaser on the completion of the transaction provided that all the contractual and tax liabilities have been sorted by the parties. When the title deed to a property is to be transferred onto the name of the Purchaser, then the Purchaser has to pay the Land Registry Department a fee in order to register the immovable property (land, house, apartment etc) onto his name. This fee is called a TRANSFER FEE. TRANSFER FEES are calculated by the Land Registry on the actual day of the transfer of the deed and these are based on the value of the property, the number of purchasers etc. Property without existing title deeds. New properties which are part of building projects are facing a delay with the issuing of separate title deeds. These delays may be due to the fact that there may need to be a division of the title deed of the land on which the project has been constructed, and new title deeds issued one for each of the housing units which have been constructed on the same Plot of land etc. This procedure, from beginning to end, may take years to be completed. Our fast, communicative service ensures your sale will complete as fast as possible. We will carry out the legal work to sell your property, acting on your behalf to protect your interests. The Northern Part of Cyprus is occupied by Turkey and is not recognized as a state by anyone other than Turkey. Buying a property there may be the subject of litigation, since in almost all of the cases, there will not be an officially recognized title deed from the Republic of Cyprus. A decision by a Court of the Republic of Cyprus may be enforced in foreign courts and this has happened in several cases. Not obtaining independent and reliable legal service is a major mistake which may, and it most often does, lead to serious detrimental consequences. 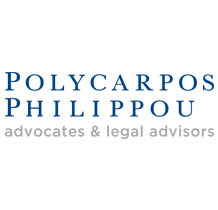 Feel free to contact us at info@philippoulaw.com and schedule a free initial consultation relating to the sale or purchase of your property.